The document recalls the primacy of the right to health, emphasizing the “problems that women face in pregnancy, labor, and the post-partum period, as many have nowhere to go after their children are born. They are told that it isn’t yet time for the child to be born, and so they are returned to their communities, and this has been the reason for major complications in labor or perinatal deaths.” Beyond this, they added that the Palenque hospital must attend to 400,000 residents from 9 neighboring municipalities, including Tila, Sabanilla, Salto de Agua, and Tumbalá, all of which have more than 90% indigenous populations with few resources. Additionally, Palenque itself has a 50% indigenous population. 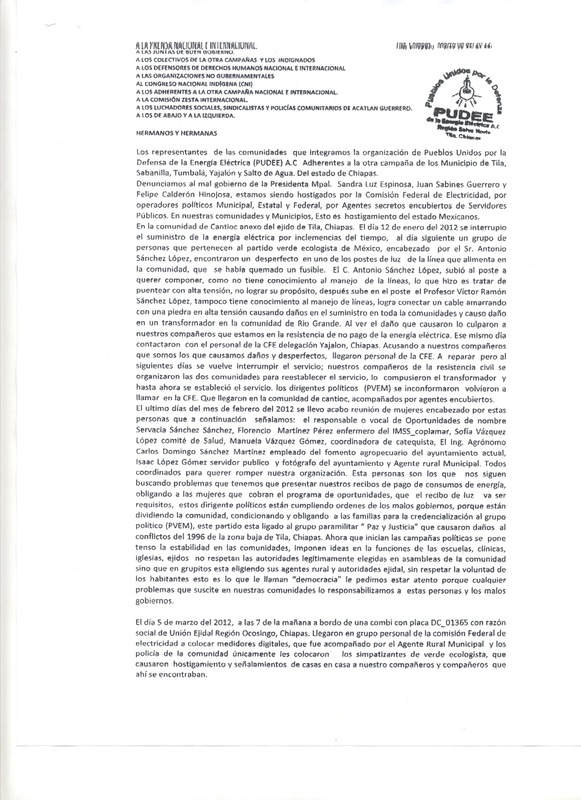 In a statement released on February 14, the Human Rights Committee Digna Ochoa in Chiapas affirmed that it had received a copy of a letter addressed to the priest of Simojovel, Marcelo Perez Perez, which was signed by Dr. Juan Carlos Salinas Prieto representative of the Mexican Geological Service and of the firm Geochemistry and Drilling Company SA de CV (GYMSA). 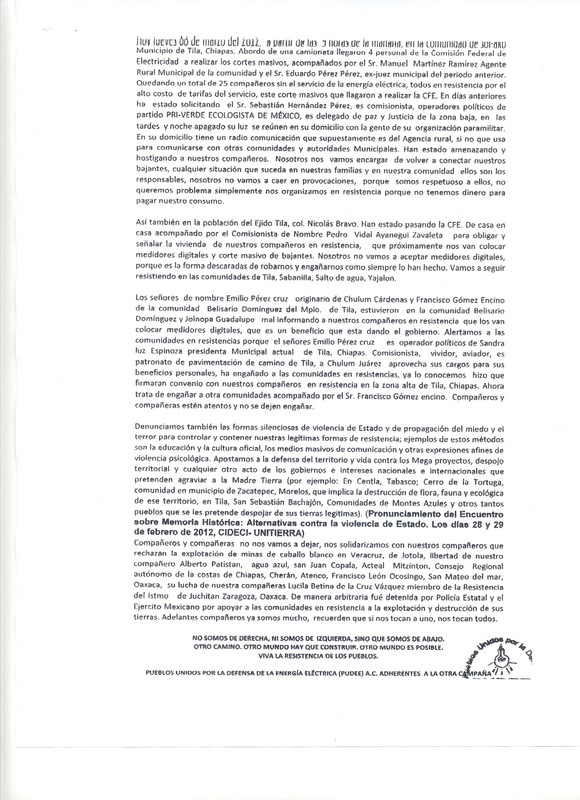 In this letter, the priest was asked to intercede with the representations of the indigenous communities “to access their private and communal territories, and where, in a period of time of three months, he “has programmed to carry out geological mapping of the region comprised of the municipalities of Jitotol de Zaragoza, Pueblo Nuevo Solistahuacán, Bochil, San Andrés Duraznal, El Bosque, Simojovel, Huitipán, Tapilula, Rayon, Pantepec, Allende Esquipulas, Las Maravillas, Union Zaragoza, Carmen Zacatal,Álvaro Obregón, Rincon Chamula, Competition, El Bosque, Sabanilla, Tila, Tumbalá, Yajalón, Sitalá, San Juan Cancuc, Pantelhó and Chalchihuitán”. 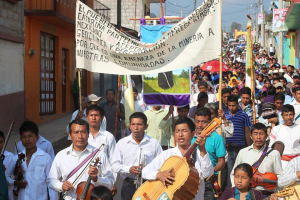 The Committee Digna Ochoa expressed that it “confirms that the government of Chiapas and mining companies are going for more territories and municipalities in the Northern region and Highlands of Chiapas and that the threat of looting and plunder is at the door of peasants and indigenous territories’ lands. (…) A door is opened to legalize the dispossession of land and resources belonging to hundreds of communities and indigenous and peasants peoples without an effective tool of legal defense such as the community consultation supported by ILO Convention 169”. On February 11, the Believing People of the parish of Santa Catarina Pantelho organized a demonstration in the county seat of this municipality to announce its total rejection of the company GYMSA arrival. In the last three governments in Chiapas, 144 mining concessions for exploration or exploitation have been granted (some of them for up to 50 years). 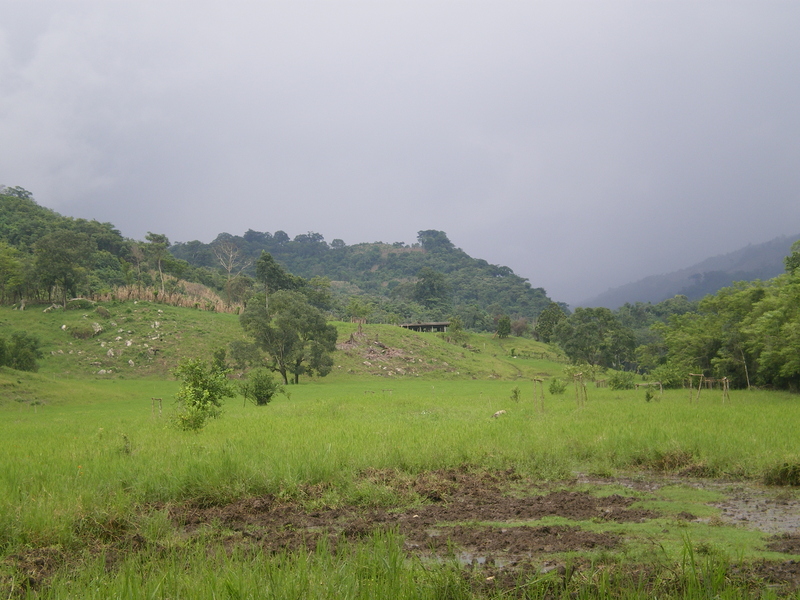 Recently, in the natural reserve “El Triunfo”, municipality, and after months of opposition, the landowners gave up some plots to a Chinese company it is said for three million pesos per hectare. In a press conference held at the Fray Bartolomé de Las Casas Center for Human Rights (CDHFBC) on 24 September, members of different organizations presented the report of the Caravan for Solidarity and Documentation to Nuevo Poblado Comandante Abel, which was held from 18 to 20 of this month. The Caravan held interviews in Nuevo Poblado Comandante Abel, San Marcos, and Zaquitel Ojo de Agua, all of which pertain to the autonomous municipality La Dignidad (official municipality of Sabanilla) in the northern zone of Chiapas; the latter two are places where Zapatista support-bases found refuge after the violent acts that affected the Comandante Abel community in recent days. 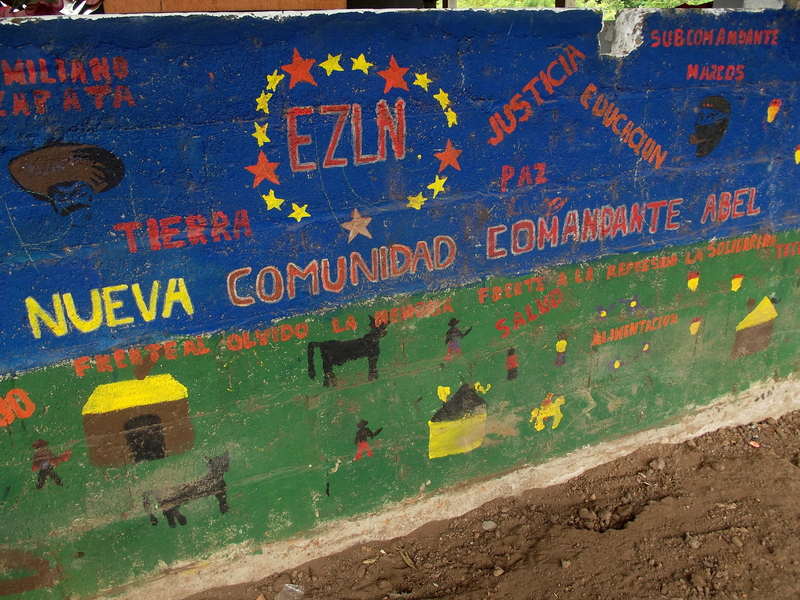 The report informed that due to aggressions on the part of the group Development, Peace, and Justice (Desarrollo, Paz y Justicia) over disputes regarding 147 hectares, 83 Zapatista support-bases have been forcibly displaced, living in precarious conditions since 8 September. The mission “can confirm the existence of several bullet-holes in the walls of the Autonomous School and the Cooperative Stores, as well as in the foundations of trenches on the shore of the river located 200 meters from the community.” Furthermore, “Zapatista support-bases mentioned that they identified the weapons used as R-15; they also report that during the night the aggressors install themselves in the trenches, training their weapons in the direction in which the Zapatistas are located.” The Caravan observed that a Public Security post was established on 16 September some 400 meters from the entrance to the community. The Zapatista support-bases relate that on 18 September, members of the police discharged their firearms twice during the morning. 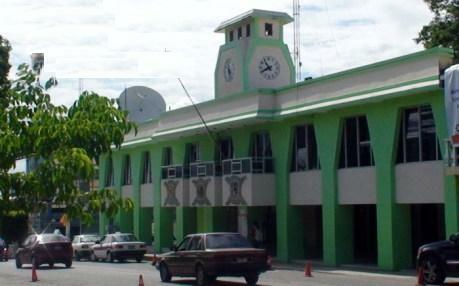 The Roberto Barrios Good-Government Council (JBG) has denounced the situation lived in the new community of Comandante Abel, which previously had been known as the San Patricio Zapatista Rebel autonomous municipality of Dignity (official municipality of Sabanilla), where on 6 September PRI militants from Sabanilla invaded lands pertaining to the Zapatistas. In a communiqué, the JBG indicated that the attackers forcibly removed the residents of this space with the intent of taking over the land and property. The invaders stole green corn and destroyed pastures, among other crimes. The number of “invaders” reached 150, according to the denunciation, who at different times opened fire with guns. In light of the threat that the presence of this group represents, the JBG found President Felipe Calderón, governor Juan Sabines, Sabanilla mayor Genaro Vázquez Pérez, and Tila mayor Sandra Cruz all responsible for whatever it is that might happen in the days to come. In a public denunciation released on 8 March, the organization People United in Defense of Electrical Energy (PUDEE) warned of harassment and electricity cut-offs directed toward members of its organization in several communities. With presence in the Sabanilla, Salto de Agua, Tila, and Yajalón municipalities, the adherents to Other Campaign reported that on 8 March, personnel from the Federal Electricity Commission (CFE), accompanied by the rural agent, cut off electricity to the 25 families organized with PUDEE in the Jol-Ako community, in the zone below the Tila municipality. 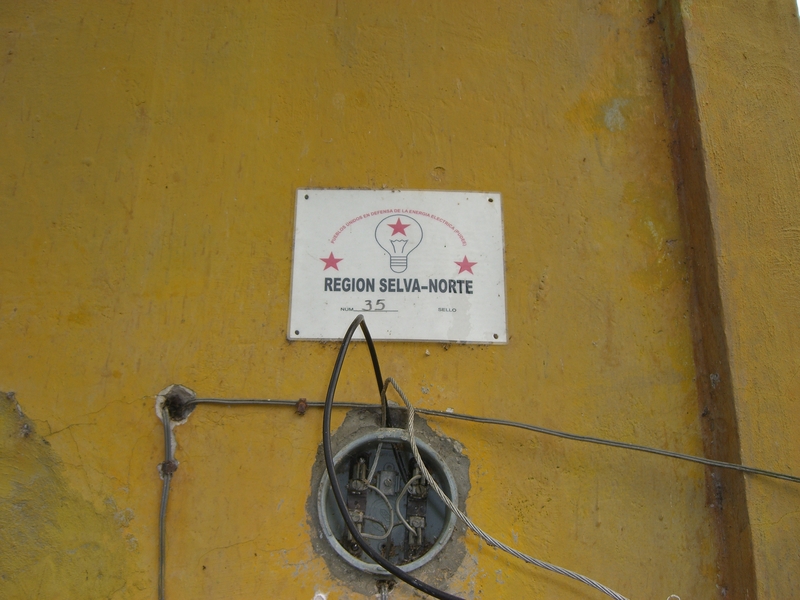 Furthermore, they threatened to install digital meters, which the communities in resistance reject, a situation that has been seen since the beginning of the year also in Nicolás Bravo, Belisario Domínguez, Jolnopa Guadalupe, and Cantioc, from the same municipality. In the denunciation, they also reported that PUDEE members have been harassed by members of the Green Ecologist Party of Mexico (PVEM), whom they indicate as being members of the “Paz y Justicia” paramilitary group. It should be remembered that members of this organization have been investigated for their presumed responsibility for murders and forced disappearances during the years 1996-2011. 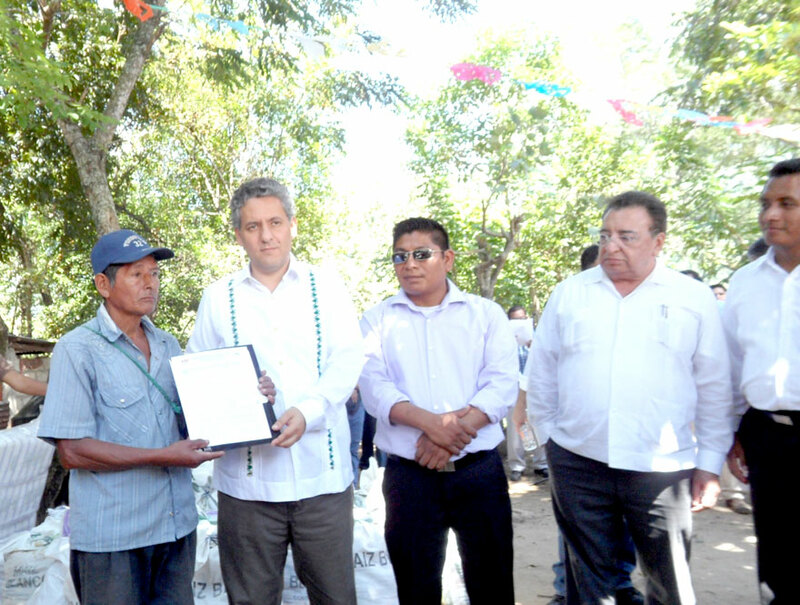 A press-release from the Chiapas state-government that was published in different local media the following day has reported that governor Juan Sabines Guerrero visited the La Lámpara stretch of land belonging to the community of San Patricio in the Sabanilla municipality on 23 October so as to take account of “the reconciliation work that Chiapas authorities have undertaken,” given the “good results [that have been seen] thanks to the efforts of the interested.” It should be recalled that since 10 September there have been denounced death-threats, robbery, injuries, and looting against residents of the community of San Patricio, autonomous municipality of La Dignidad (official municipality of Sabanilla) in the northern zone of Chiapas.